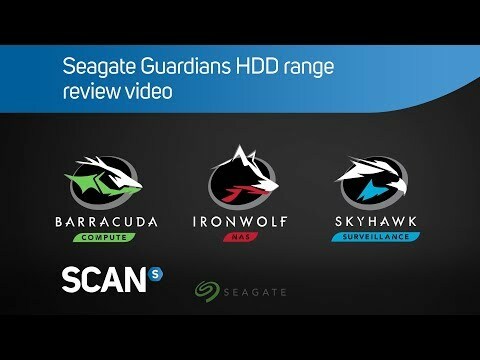 The 4TB Seagate BarraCuda is a high-quality HDD that delivers incredible performance thanks to its easy to use 3.5 inch form factor that is just 20.17mm in height, the drive runs at 5400 rpm, the BarraCuda's technical highlight is it’s 6Gb/s interface, which is the latest SATA III standard. This drive in particular has a storage capacity of 4000GB and a generous 256MB Cache. The BarraCuda hard drives are perfect for use in desktop and mobile computers, with capacities ranging from 500GB all the way up to a staggering 12TB the range of BarraCuda HDD's are a perfect upgrade at any price point. For more than 20 years, Seagate has manufactured and delivered the super-reliable BarraCuda family of drives. Seagate's drive-reliability data simply speaks for itself, and the BarraCuda family is often recognised by leading publications and customers. 4TB Seagate ST4000DM004 BarraCuda, 3.5" HDD, SATA III - 6Gb/s, 5400rpm, 256MB Cache, OEM NCQ is rated 4.8 out of 5 by 4. Rated 5 out of 5 by maxhap from Great drive I use these drives in a RAID 6 array. They have been operating well with no issues for a long time now. Rated 4 out of 5 by HarryHRW from Good bang for buck Bought to replace a dead 4th WD drive. This was slightly cheaper and has a bigger cache. Rated 5 out of 5 by LPOatTheBack from Seagate Barracuda The 256MB cache is welcome, helping to offset the slightly slower 5,400 rpm spin speed. It formatted originally as a default 2TB NTFS partition with the 2nd 2TB unavailable. I bit of research led me to the latest HDD format, GPT, which is actually a few years old now, but I'd never previously encountered it. I formatted the drive to GPT without backing up my data and lost nothing; the drive suddenly converted to 4TB, so I was happy and have a few years before having to buy the next size HDD. My reaction is to use GPT for large drives in future. In days gone by, the Barracuda was THE drive to use. Rated 5 out of 5 by Alan244 from Good Drive I brought this disk drive as a second drive for my pc and so far has worked well. Should this come with the mounting screws? If it is a bare OEM drive, probably not. It will be assumed that someone buying an OEM drive has spare screws. In fact, mine went into a new build and there was a nice set of screws with the case system. If you buy a retail version, you can expect prettier packaging and screws will usually be included.